Can’t decide? Get all 8 Money Shot ‘Stack-Shots’ and save money with our multipack! Money Shot ‘Stack Shots’ have been uniquely crafted and formulated for the home brewer, to create a deliciously perfect e-liquid to the levels of the professionals, for just a fraction of the cost. 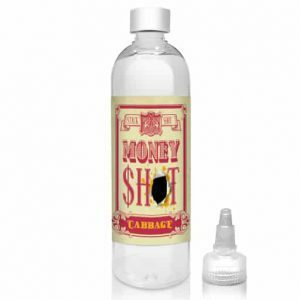 Our complex ‘Stack-Shots’ are designed for usage between 20-25% (Subjective to preferential levels of taste). Each bottle has full step by step directions of usage on the reverse and its simply down to how much flavour you like from your vape…as to which mix ratio you choose. 20% is considered standard and most vapers will find this more than flavoursome enough, but for the ‘flavour junkies’ or vapers that struggle with flavour, 25% is advised. 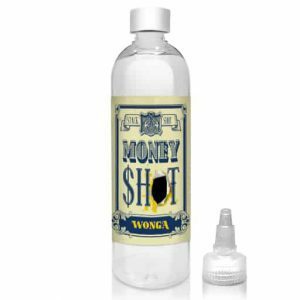 The idea behind Bottle Shots is ease of use, each 500ml bottle comes part-filled with 100ml of concentrate, leaving more than enough room for you top up with your preferred PG VG or base mix. 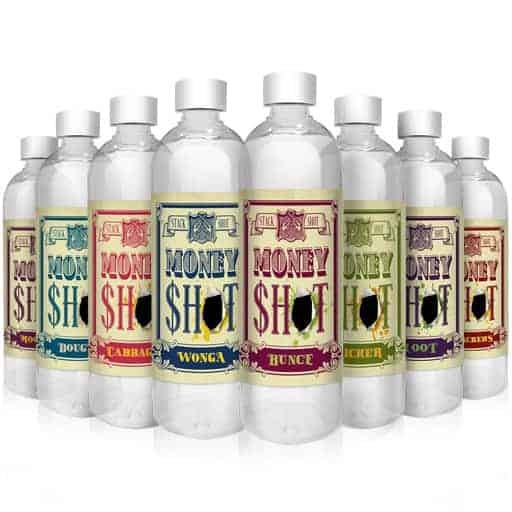 All bottle shots are designed on a 70vg – 30pg Ratio. Once all elements are added together, simply ‘shake it like it’s hot’ and leave to steep for the advised period of time.